Firestone Audio Fubar II MkII review | What Hi-Fi? 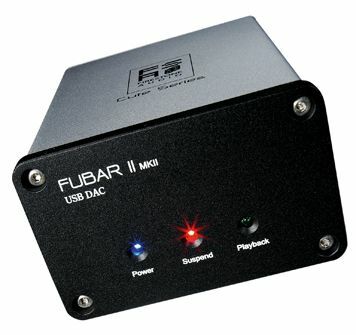 Why Firestone Audio decided to brand a range of DACs ‘Fubar’ is beyond us. The assertion that this is part of the ‘Cute series’ seems a bit of a stretch, too, although we have to admit that we have seen uglier DACs, and the Fubar II does seem very well made. This is another USB-only model, with a Burr-Brown converter that will handle 16-bit 44.1/48kHz music. Unlike some others, the Firestone doesn’t draw power via USB, instead using an external power supply – but we can’t see that being a big deal for many. What’s far more important is its sound, and a blast of Flobots’ Fight With Tools proves the Fubar II has the essentials nailed. It’s weighty and chunky with lovely bass depth, but also excellent balance and an affecting way with grand dynamics. It paints with broad strokes, though, and that means its leading edges are a little soft and that it can be beaten by the very best for detail and low-level dynamics. But it’s still a very likeable little performer.